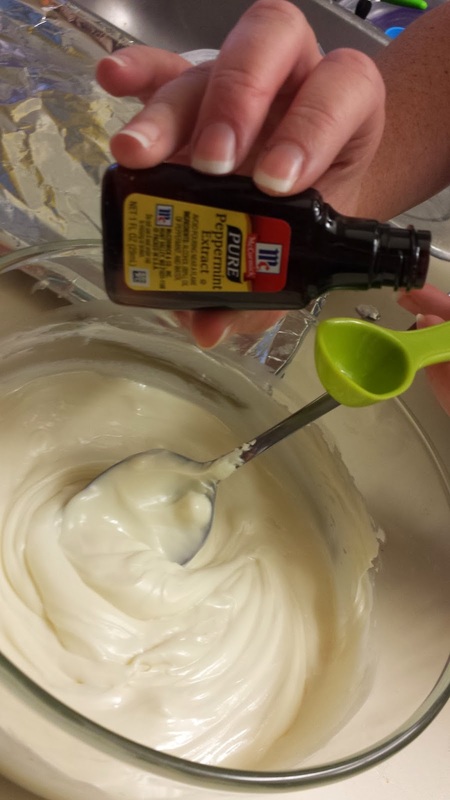 Life Music Laughter: Easy Peppermint Bark Recipe, Perfect for the Holiday Rush. 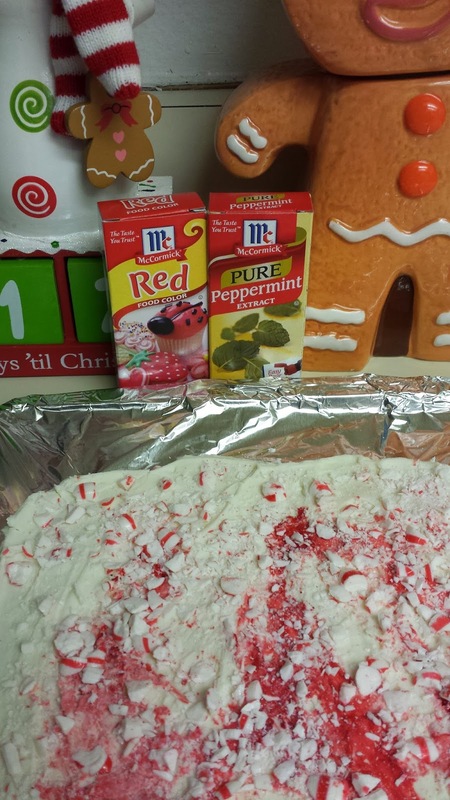 Easy Peppermint Bark Recipe, Perfect for the Holiday Rush. I love cooking and baking with McCormick, so when they asked me to share a Christmas recipe with you, I was thrilled to do so. This is a sponsored post, but all opinions expressed are my own. With both girls in College, scheduling our day has become a little harder, and is often right before Christmas, but I often need some sweet treats before then for various events, food days at work, girls night, etc..., so I always like to have a few recipes that are easy to throw together. 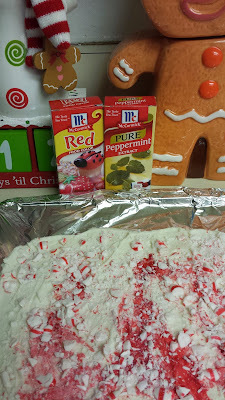 This Peppermint Bark recipe from McCormick is perfect for this. The next step is to melt a bag of white chocolate in the microwave, and stir. Then stir in 1 tsp of McCormick Pure Peppermint oil. You will then spread the mixture on a foil lined baking sheet so it's about 1/4 inch thick. Then add the McCormick red food coloring drop by drop, swirling as you go. You want to make sure to do this quickly because the white chocolate mixture will start to harden. After that sprinkle with the crushed candies and press the candies into the chocolate. Once it's hardened, simply break into the size pieces that you want. Now, it's ready for eating, or gift giving, or in my case...hiding it from your husband. I seriously had to hide it from him. He ate 2 pieces and couldn't stop himself. He is a peppermint fiend, and if I hadn't stopped him, he would have ate every piece of it for dinner. This recipe is perfect for a quick after dinner dessert, or to give as a gift because it is so easy, but it looks and tastes like it is an expensive gourmet item. 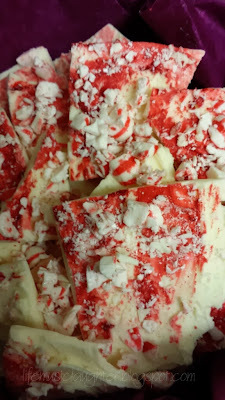 For the complete Peppermint Bark recipe, and more great Holiday recipes from McCormick go to their website. But, I warn you, you will be doing a lot of baking this Holiday season, because these recipes are irresistible! disclosure: I was compensated for this post by McCormick. All opinions are my own. Yum! I have been making peppermint bark for years but I've never actually added additional peppermint extract to it! What a fantastic idea! Ooh, I adore peppermint and chocolate together so this is definitely a recipe I am going to try this season! I bet my family would love it if brought a tin to our Christmas party! Thanks for the idea! I LOVE peppermint bark and these look amazing! Definitely adding the ingredients to my shopping list this week! I love peppermint bark and making it. 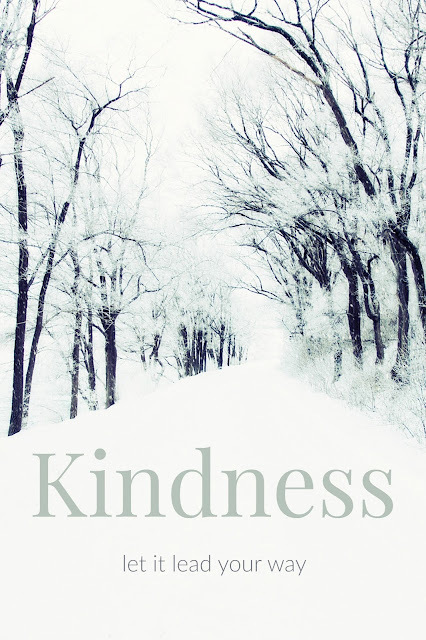 It is such a great gift for co-workers and friends at Christmas! You had me at peppermint. 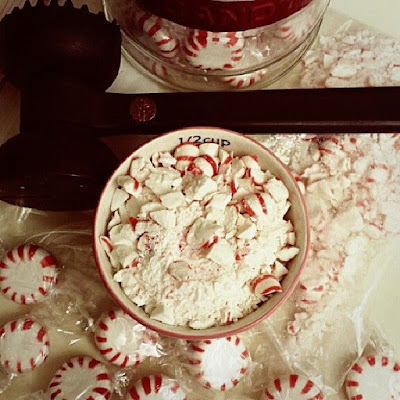 I love peppermint and I have so many McCormick food coloring and spices in my cupboards. Thanks for sharing this recipe! Oh, YUM! That looks so good and perfect for the holidays. I'll be making it! It's definitely the season for peppermint! And bark. This stuff looks yummy! we always use mccormick for baking- especially at the holidays. this looks delish! 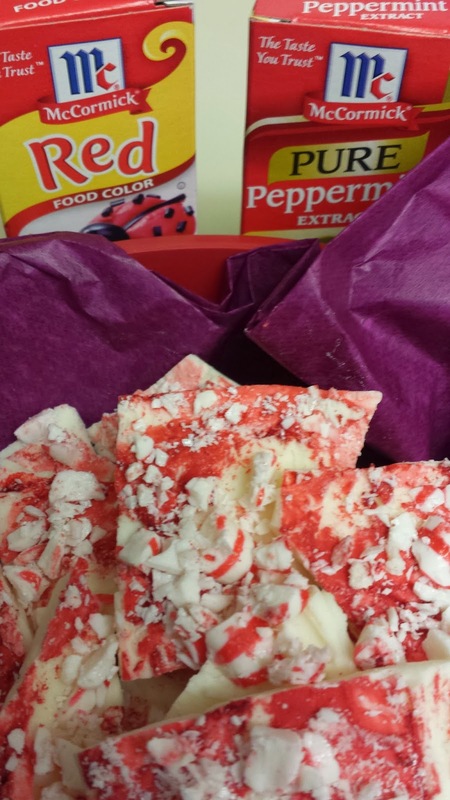 I've never made peppermint bark and you make it look super easy! I'll be trying this recipe this holiday season! Oh my gosh that looks so yummy! I've never made it before, thanks for the recipe. That's so similar to how I make mine. I absolutely love peppermint bark! I just made Peppermint bark the other week! It was great! Peppermint bark sounds perfect right now! I love going for treats like these that are easy to make. Earlier this year, I even made Easter bark using jelly beans! Yum peppermint bark. Anything involving peppermint and chocolate cannot be bad. This looks super easy, but sounds so delicious. I will have to try this out very soon. I love peppermint bark. I've never use the peppermint extract in mine, though. I need to try it this way! I too am a huge peppermint fan. At the holidays I can't get enough and stock up on McCormick's Peppermint extract! So many of my recipes I flip to peppermint themed for Christmas!